After spyshot New MegaPro Injection had appeared in cyberspace, now the figure of motor sport the latest generation from the Honda MegaPro has finally revealed his true form. 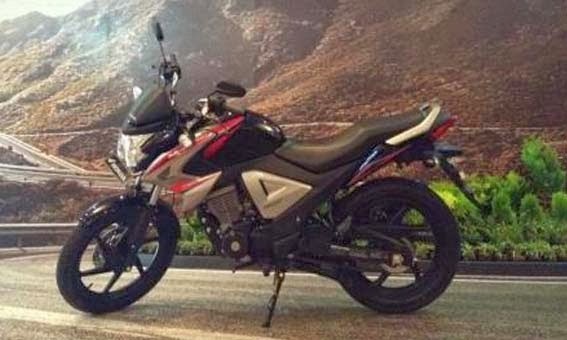 Besides carrying technology Injection (PGM-FI), Honda also give a new touch to the look from the New MegaPro PGM-FI. The look New Honda MegaPro FI looked aggressive with a model headlights which in more modern designs, fins (shroud) which sharpened and body side which is designed more masculine. Meanwhile on the exhaust and rear fender redesigned so make New MegaPro FI more sporty. while for the rear suspension to keep using the model monoshock. For his machines, Honda equips New MegaPro PGM-FI with a new engine capacity of 150cc with technology injection (PGM-FI) which capable of generating power to reach 108 kph.